I may have already told this story, so if you've heard it before skip on ahead. 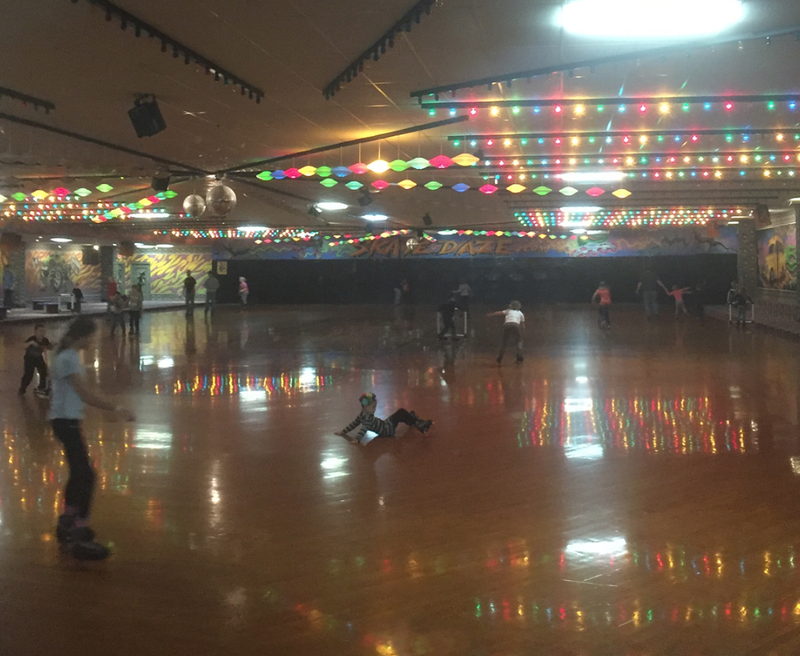 Once upon a time when I was in 5th or 6th grade my Dad mentioned that the school he worked for was having a skating party. My younger sister and I liked to skate. We were happy to go. One of my Dad's students decided to use my Dad to stop themselves. 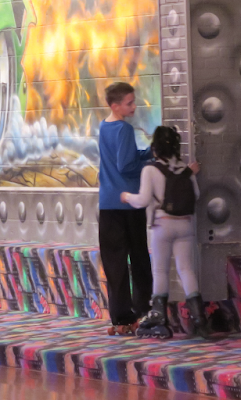 I really doubt she tried to make him fall. My Dad wasn't too happy with her when he did fall. He threw his arms out, and broke both elbows at once. Instead of having a staff member drive him home, or ask to use a photo to call a friend or family member to take him to the hospital, he decided to drive home. On the way home I had to help make turns. The whole time he pounded out cuss words. Every turn, every bump it was, "Fu**!" 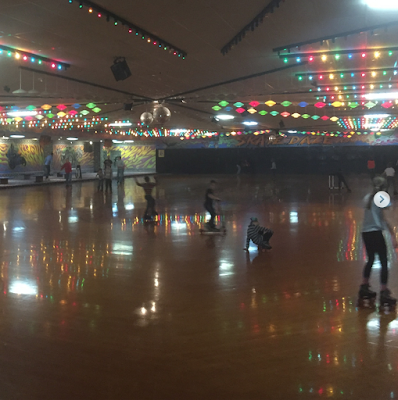 I think I only roller skated a few times after that. When I first had to drive I wasn't all that excited. That happened right before Christmas. My Dad finished painting a painting for my Grandpa he had started with his mouth. Whenever someone complains that they can't paint I think of this story. 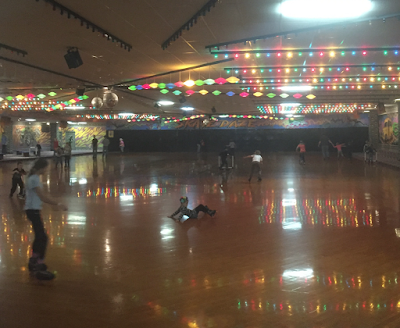 There's been a few times where the boys wanted to go to skate parties with their elementary school. I've always hated going. I picture one of my kiddos falling like my Dad did on both elbows. 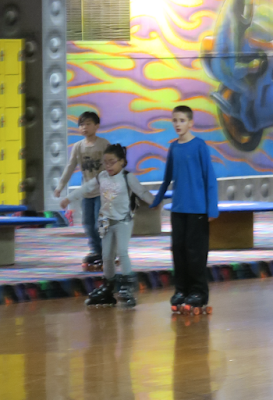 You'd think they'd catch on how to skate, but Mica lacks coordination. 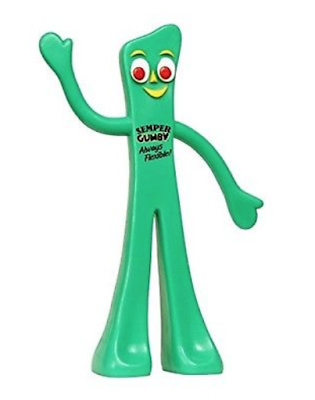 He looks a bit like Gumby. Yep made of clay, and barely moves. The poor boy happened to see 4 or more people from his elementary class, and they can skate good. 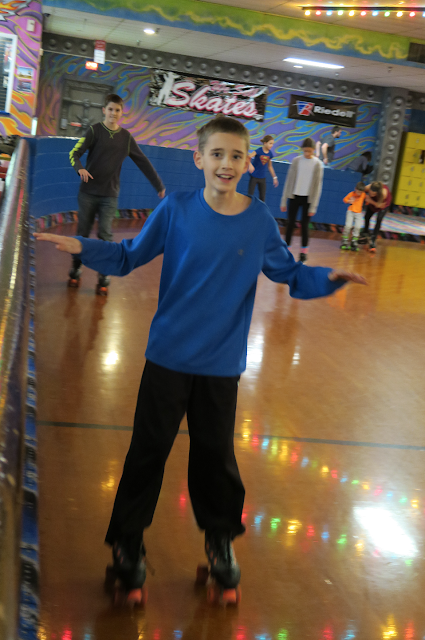 Isaak's gone skating more than Mica, but is rocky at first. After 10 minutes he's going pretty good. One thing Isaak was born with is lots of empathy. He was always around his brother and cousins (because Travis, my sister and mom and dad took turns watching them). 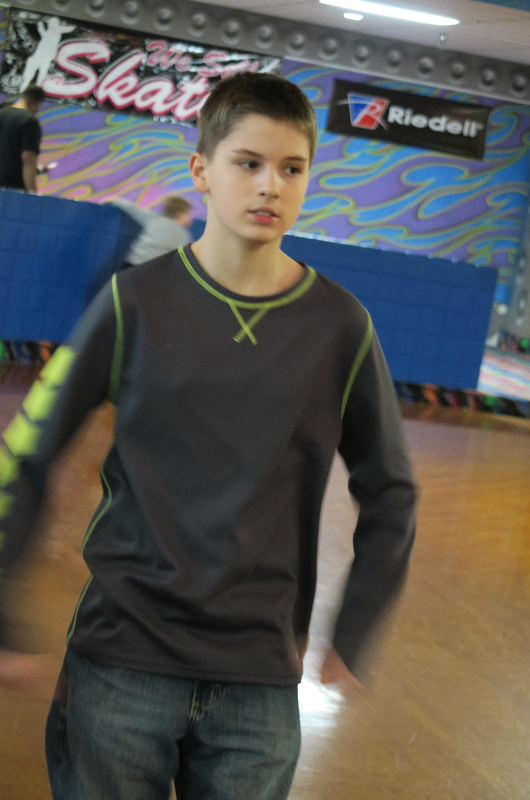 Since Isaak was the youngest he was treated unfairly. Once Isaak was big enough to defend himself - he wouldn't put up with unfairness. He'd stand up for himself. There were some people in my family that saw Isaak as the trouble maker. I didn't see it this way though. Isaak was so sweet, but if anyone crossed him watch out! He just stood up for himself. This carried on into school. Kids that befriend him, and his friends are treated with such respect. Isaak's the best friend anyone could have. If anyone crosses him, or his friends watch out! He's been in 3 small fights this year alone. The crazy thing is, is that I'm not worried about it. I find out what the fight was about, and it's justified. 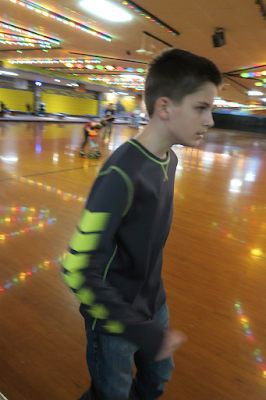 Some kid pushed Isaak or one of his friends, and Isaak pushed back. No one has gotten hurt. Isaak won't let bullies, bully him or his friends around. To be honest I wish I had more Isaak in me. He's my sweet and sour kid. I wish everyone would have more Isaak in them! We'd have a world full of empathy, and fairness. 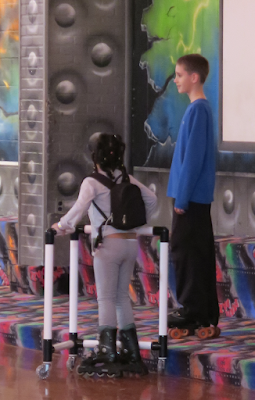 A little girl showed up to the skate rink that has never skated before. She's had medical issues her entire life. An NG tube, a G button, lots of meds, and hospital stays. I don't know the extent of her medical conditions. I don't even know her family situation. I've seen a lady come to conferences for her. She has 3 other kids that have special needs with her. Something tells me that she's a foster child. I have no clue. Once she was taking off her coat, and her shirt pulled up. A punk that Isaak has gotten in a fight with said, "Ewww gross! Your stomach is the nastiest thing I've ever seen!" Isaak was pissed! Isaak befriended this girl. She is nice. They both love to write. So much so, that they were bombing writing class. Not because their work wasn't good, but because they took so long to do it. They both add in lots of details in their writing! No worries we got Isaak up to an A by having him work on writing at home. Isaak said, "Oh my friend is here. She's never skated before Mom. 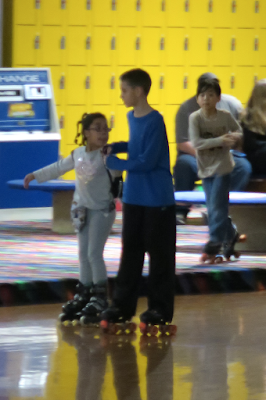 I'm going to make sure she's ok, and skate with her." I nearly started crying when I saw them together. 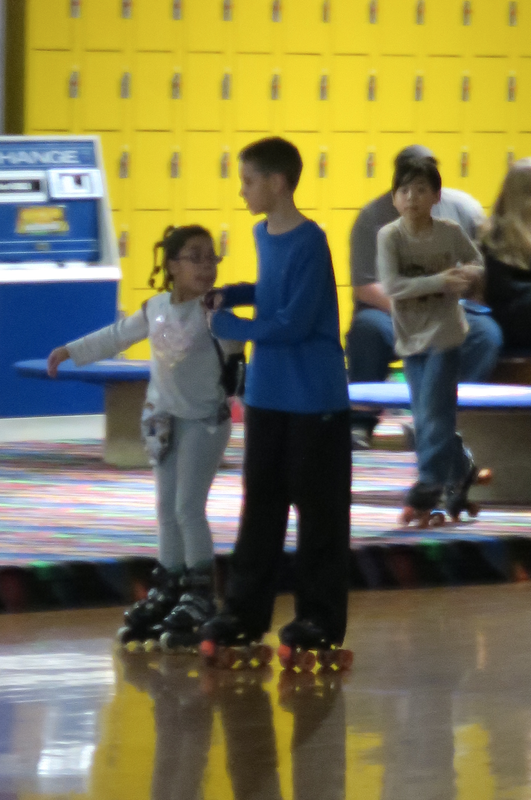 The little girl said to Isaak, "Isaak my sister may make fun of me if she sees you skating with me." Isaak said, "Don't worry about it. You need help, so I'm here for you." They aren't the BEST pictures, but I love them! 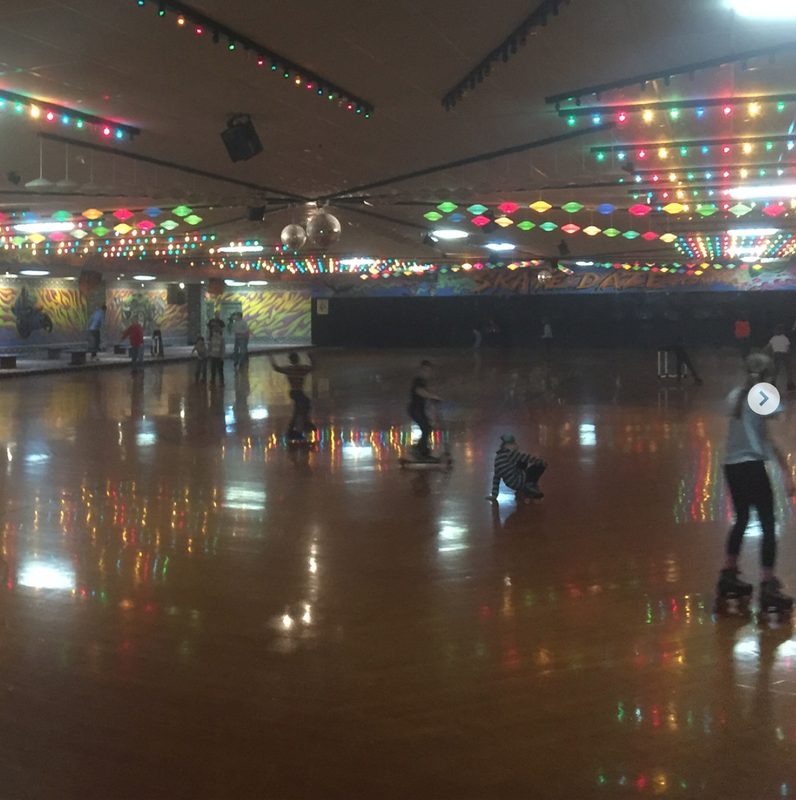 I didn't mind seeing the boys skate that night. It was like a breath of fresh air. Do you think we need more empathy in the world? I always love hearing your stories about Isaak and how good he is to people. Yes, we need more Isaak's in this world. Mariah is a shy type that puts up with a lot of crap. It makes me sad that she doesn't defend herself. Allison is a bit more aggressive when it comes to bullies and also tries to befriend the outcasts.